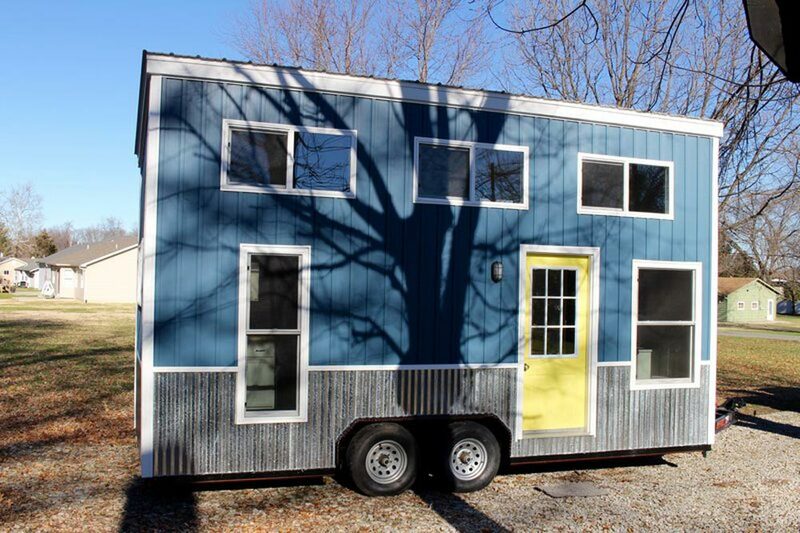 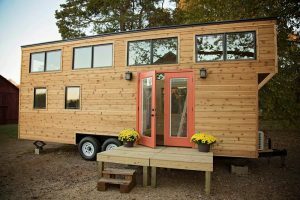 The Chic Shack is a nice tiny house built by Mini Mansions. 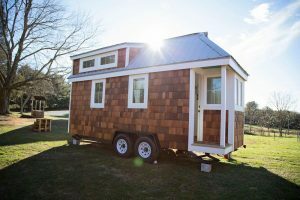 The exterior uses maintenance free vinyl board and batten siding, galvanized corrugated metal, and a metal roof. 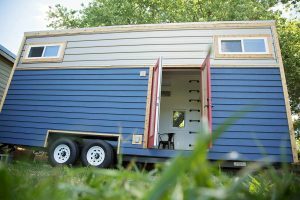 All water lines are run on the interior to prevent freezing. 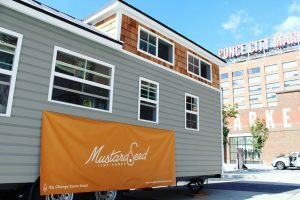 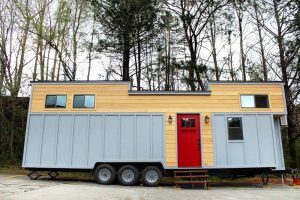 Chic Shack features two lofts — one large enough for a king bed and the other fits a twin bed — a built-in sofa, electric modern glass fireplace, and entertainment area. 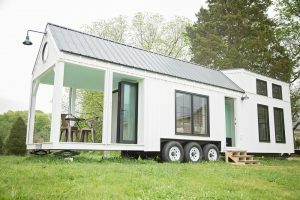 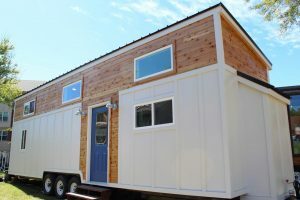 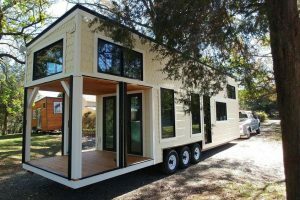 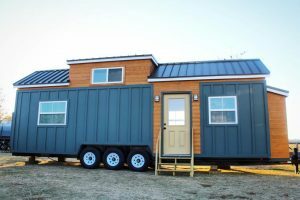 The price for this tiny house starts at $35,900.00. 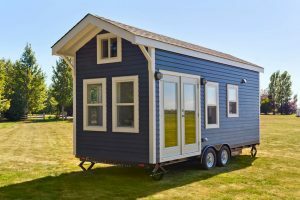 Also available from Mini Mansions: Chalet Shack, Relax Shack.